It is a material of the Beatles with a feeling of boiling down considerably, but I am very pleased to present the surprised title to the people of maniac here. It is a set of sound source and video from get back session which included the first appearance video abundantly. 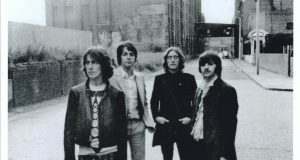 In January 1969, the enormous material shot and recorded at Twickenham Film Studio and Apple Studio. Systematic ones were released, but this was not the case for the video. Since many of the sound sources contain a signal to be synchronized with the image of pea, it was predicted that a lot of video material is still preserved, but until now almost no sunny eyes have been seen and fragments As for the video that I was able to see in the same way, the date credit was obscene, and there was no one systematically summarizing the image of the get back session. This work is an epoch-making title that can organize the video in order of date in order and synchronize with the actual session schedule. The video of the get back session was recorded on the premise of the movie. For this reason, the session is held in Twickenham’s film studio instead of the recording studio in the first half. While listening to music, you can see the fact that it is a project that focuses on shooting. As you all know, the movie is a full-color work, but there are two types of flowing images, color and monochrome, that strange things happen. Among the shots I suppose they were shot at the same time at the same place, why monochrome images exist, this is originally color was converted to monochrome in the process of leakage, and contents are also almost dub Rather, it is a mystery just to exist as a completely different picture. This series entitled “LET IT BE DAY BY DAY in color”, “LET IT BE DAY BY DAY in black & white” was entitled to be released separately for color image set and monochrome image set. This work is a monochrome section. 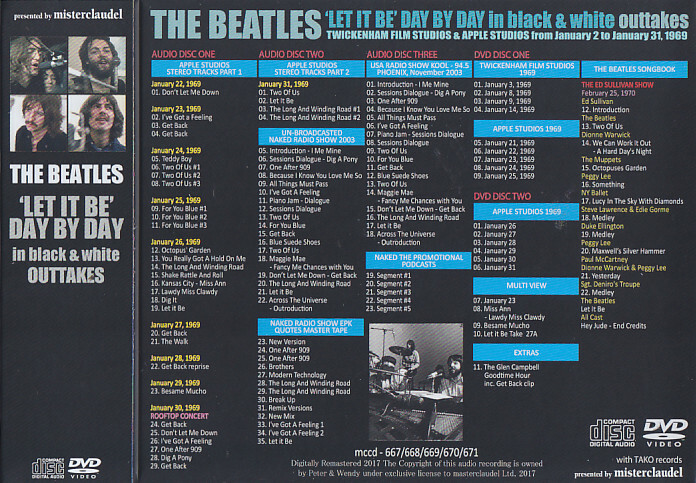 January 3 is a scene where John and Yoko are watching George playing “All Things Must Pass” while watching cigarettes. Even January 8, the scene of “All Things Must Pass” is the main. However, cameras are directed to John rather than George, and a lot of friends and moments with Yoko are captured in particular. Indeed it is not only that Yoko was present at the studio but also he was in the vicinity of John during the performance. It is as if the behavior of a member is like a member, and it is honest impression that John often forgives this. January 9 is a video version of sound source known for a long time as “Sweet Apple Trax”. 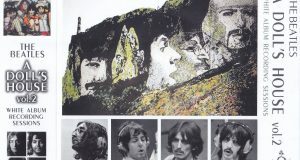 It seems strange that it is possible to see scenes singing one after the other, which were the main ones in that album, with images. On January 14th, the band members are seated and seated and discussions are held. Paul hangs his legs and hears that John is talking so hard. The stage is reflected in the studio in the earlier stage that is going to rehearse on January 21, as reflected in the Apple studio. It is impressive that the apples are silent trying to see the apples bored as they are trying. George silently smokes. January 23 is Yoko’s exclusive place. 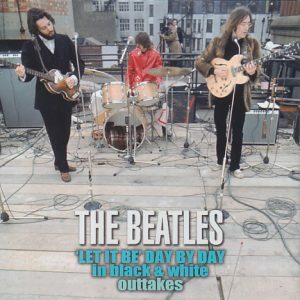 John puts the guitar on the knee and gives out a distinctive tone by hitting it, and Yoko cries out on the back. It is interesting that John is trying to make various mysterious sounds using the guitar. I tried trying to bring out something different, just to put it close to the microphone or to bring howling close to the amp. In the performance scene of “Get Back”, they are still playing with sitting in a chair, whether it is still a light fitting stage. Also sitting in the studio and listening to playback scenes are recorded. I can see that many visitors other than members were visiting the studio. January 24 is the member’s arrival scene. When John and Yoko who got off from the white car got off, they quickly got in hand and go into the building. George, with the guitar holding a lot of documents, gets off the car and shakes off the fans who seek the sign in front of the building and goes inside. While the apple is being called by the fans, he gently enters the building with a conversation. Individuality appears in response to the three parties. In the studio, John and Yoko are sitting side by side with white and white clothes in line. The main on January 25 is “Two Of Us” recording. 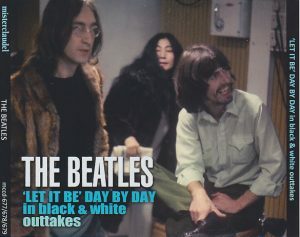 As the Beatles are rehearsing hard, Yoko brings a brush and India ink to the studio and starts a calligraphy. I do not know what it is written because it is too long, but I am writing letters with kanji while thinking toward paper. Believe it or not, Yoko is calligraphy, next to the Beatles playing. Besides Yoko who was there, I write it with unknown kanji. Indeed I do not know the feelings that other members thought unwillingly for Yoko. On January 26th it is interesting that it is possible to see the state of John singing “Let It B, C, D · · ·” familiar with the sound source with images. It is also worth noting that Mike is also given to Yoko. This time, it is recorded for the first time that pretty Heather is beside Paul and John. On January 27 it seems that he is listening to playback in the studio. John ‘s characters are exactly what John is aware of the camera and is dangerous. Of course, Yoko is stuck closely next to you. A state of rehearsal with Billy Preston on January 28. On January 29, while John is retightening the shoelaces at the studio, Yoko is sending it somehow at his ear. What is the entrance into the sacred and inviolable Beatles studio and what John is talking to John? Although other members are playing with instruments, John is only listening to it by the hands. And, on the roof top day January 30, while the actual performance scene in color is abundantly left as much, there are records of valuable preparations before riding up to the rooftops though short here. Yoko is breaking down John ‘s hair. And the last day January 31 is another shot image of “Two Of Us” excavated in recent years. I am surprised by the fact that such things existed. Not only the members themselves playing but also the staff who is shooting it feel the intention that this image was taken in the camera. I think that it will be understood by looking through, but unlike the color image shot for movies, the one recorded in this work is another camera, and the main is John and Yoko. 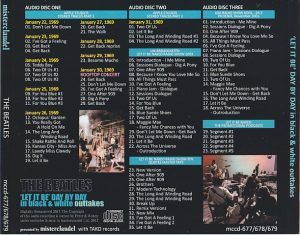 The video of either day is photographed mainly by John and Yoko. Is not this a big clue that can guess the origins of these images? Obviously this is a stuff taken by John and Yoko staff separately from the movie and I do not know if I was watching something in the future in the future but it can be inferred that Paul and other members are not involved . This monochrome video also has a plurality of cameras rotated, and there is an image called another shot of the same scene. Here, the plurality of cameras can be compared in parallel. Especially, comparison between color image and monochrome image is interesting as it is understood what was being taken for each target. For Heather, it seems that the studio is like a playground with a dad, or how lying on the floor of the studio is lying down. This is a TV program that was broadcast at the time, including the performance scene of “Get Back” from the rooftop concert. 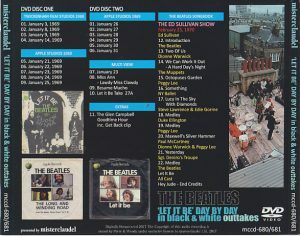 And at the end of the film ‘s work, Ed Sullivan Show, which was broadcast on February 25, 1970, is recorded in its entirety. It is not an air check even if saying it is an outflow image recorded from the opening cliche. 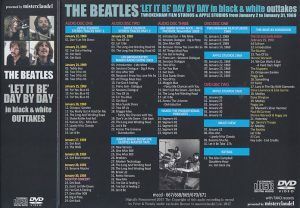 On this day is a special program entitled “The Beatles Songbook”, “Beatles ‘latest picture” Two Of Us “etc was broadcasted and other projects that various artists will unveil the Beatles’ songs individually and show off . Time-consuming dance, ballet, performance may be said to be a highlight. It is interesting that young Dionne · Warwick and Peggy · Lee will be shown “Yesterday” in the direction of singing along with the image of Paul himself at the time of broadcasting in 1965. It can be said that it is an epochal attempt even considering the times. Although the order to introduce was reversed, in this work three CDs are recorded at the same time separately from the picture. 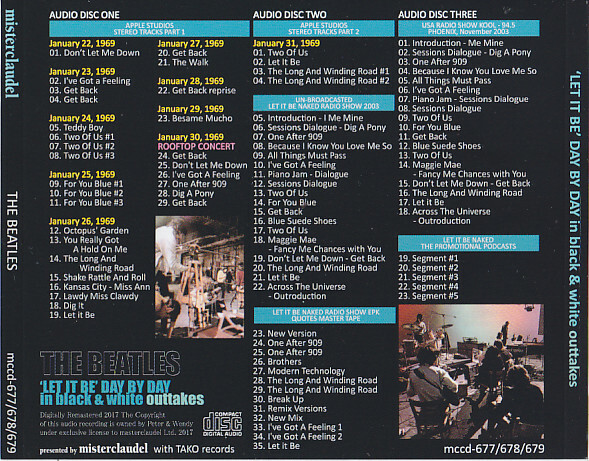 Until the beginning of Disc 1 and Disc 2, from January 22, 1969 through the rooftop concert, 31 stereo sound sources at Apple Studio are recorded. At first, I do not know why, but it is a radio program that was produced to match the release of 2003 Naked, but it is a sound source that entered the store without being broadcasted after all. Paul and an interview of an apple are recorded while listening to the sound source of get back session. 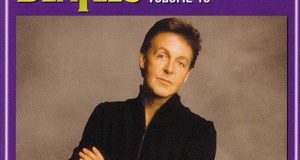 While listening to the sound source of “One After 909” at that time, there is a scenes that Mr. Paul sings according to it in 2003. The second half is EPK of radio broadcasting. Even this kind of thing was made, it can be seen that the broadcasting station was putting much emphasis on this program. Recorded on Disc 3 is a radio show that was broadcast in the United States in November 2003. As you can see from the track list, you can see that the above-mentioned program that had entered the storage form was re-edited with a change in shape and was broadcast like this. 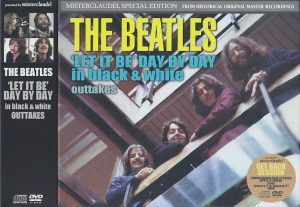 It is a valuable collection of images of Get Back Session in January 1969, including Mania Career M Claudel Label, which includes many first-appearing images. Moreover, because it is recorded in the order of the date, it is made with high material value. Until now, there are a lot of sound sources, almost everything is draining out, but this was a lonely situation as it became a picture. This work is a must-see picture to solve such a situation. I am confident that this work will be accepted into mania with surprise in the circumstances surrounding the material of the Beatles, which was pretty difficult to release the first appearance sound source or video. Permanent preservation of a beautiful picture / disk specification A tightly pressed press. Slip case included.